When your horse’s feet could use some extra help, turn to the nutritional supplements recommended by top farriers. 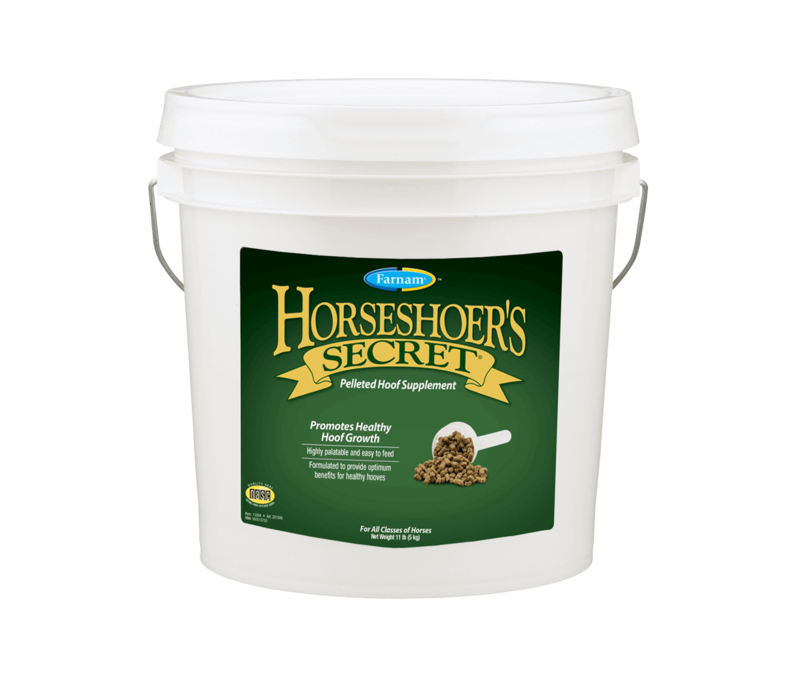 Trust Horseshoer’s Secret® Pelleted Hoof Supplement original formula to provide key nutrition to help prevent cracked hooves and strengthen hoof walls. Enclosed scoop holds 6 ounces. Feed 6 oz per day for 6 to 8 months. Change to a maintenance level of 3 oz per day. If the problem persists, resume feeding 6 oz per day. Based on an 1,100 lb horse. Adjust amount fed according to body weight – more for larger horses, less for smaller horses, ponies or foals.